Building a house is a HUGE ask! Lots of planning and critical decisions; size of rooms, placement of windows, ceiling heights…let alone the fun pretty stuff like paint colours, fixtures and finishes. And you know what? Sometimes we make a mistake…we rush, feel pressured, skip a big decision, leave it to the builder…and are filled with ‘home building regrets’. 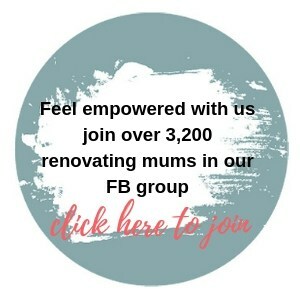 To help you with planning your build and taking those first steps we have put together some tips from the team at Renovating Mums so hopefully you will escape the most common building regrets! Do your research and consider the neighbourhood you are buying into. Getting a good deal on the land is fantastic but you should go to the actual area and check it out, try to get a feel for it. Great family homes are more than just good school catchments and well-planned public transport. They are also how the place feels to you, walking around, getting a coffee, visiting a park, experiencing a slice of life. If you are building the home you want to be in for a very long time, then you need to like the area around you as well as the space inside your walls. Make sure you check it out in person before you buy. Factor in extra time, money and inconvenience. Tell yourself that stress levels are going to be a bit higher during this time. Learn to breathe deeply or let some things slide and keep your focus on the end goal. Many home building regrets happen because the owner just wants this stressful, transitional period to be over. Your standard of living while you are building is going to be lower than you like, but this is temporary on your way to building your family home. If you are renovating, your home life might be a bit unworkable. If you are renting, you might really dislike where you are. Be more like the turtle than the hare when it comes to planning your home build. Check out our great resources to help you plan your build and renovation! I have a general rule of thumb which is; never build a house that is bigger than you’re willing to clean! But in all seriousness, getting the size of your house right in the planning stages is a lot cheaper than trying to add rooms later on. Work out the number of children you might have, how many living areas you might need, and if you want extra rooms for space like a home office, kids / teens playroom, craft room or a media room. Work out how long you would like to stay in this home and if you are thinking in the decades then you need to plan ahead a bit. Some of the biggest home building regrets happen because people realise later on that they really need extra space. Storage is one thing you want to plan properly, and not compromise on for the cost. Many people give themselves restrictions on storage, thinking that it will encourage them to declutter and minimise their lives. This strategy rarely works. Homes look minimal not because the owner has given away all of their stuff, but because they have awesome hidden storage that tucks away like magic. Always give yourself more storage than you think you will need, and make it as clever and as accessible as you can, especially in the kitchen. Some things need to go in during the planning stages, because they are harder changes to make to once the walls are finished. This includes things like plumbing and gas, electrics and technological and smart features in your home. Consider now what you need as well as what you might like to be able to do in the future, and get this planning right. Smart upgrades can seem expensive when you are installing them, but as value for money goes, these extras can pack a wallop. Look for convenience, comfort, security and environmental economy throughout the years. Smart upgrades also increase the resale value of your home when you decide to move on. When building, most people need to make plans as a team, in partnership as a couple, and sometimes also in partnership with the moneylenders. You will need to make compromises. When you’re planning your build, work out the things that are priorities for you, and the deal-breakers. Then work out the ones that you are willing to compromise on. Don’t compromise on a priority, because it might be a very long life without that one thing that deep down you really wanted in your dream home. Also consider upgrades down the track. Ceiling height during a build should be a priority, not a compromise as it cannot easily be changed, whereas the material and finish of your kitchen benchtop and cabinets can be. Keep this in mind. One of the most common home building regrets is choosing the wrong builder. Find a builder that you like and then be open with them about your expectations early on (hint our directory & community is a great start). A good builder should tell you if your expectations are too high and if what you are aiming for isn’t possible in the space or for your budget. Be clear about what you want, and be open and honest in your communication, especially with your builder. Clarify concerns in the planning stage, because any changes later on in the contract can get expensive. Good builders want to be treated with respect. They are hard to find and worthy of hanging onto, so make sure that you treat them well. Builders like customers who are clear and decisive, who listen and take advice, who are polite and deal with reason and logic. 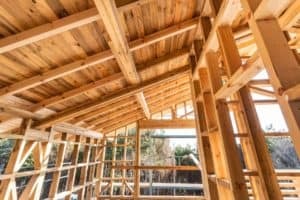 We hope this list wasn’t too terrifying for you, because building a house should be an exciting time. You can dream big certainly, but you need to be very realistic when you are building your home. Do you have any advice on how to avoid home building regrets? Pop a comment below, we’d love to hear from you!